Neil Island is an isolated island of Andaman and Nicobar Islands, it gives you peace and silence of almost deserted beaches. Neil Island is situated at 40km to the northeast of Ports Blair and you can reach it through a small ferry ride. An exotic destination for lying on the beach sand, walking through jungle, cycling along paddy fields and swimming in the beach waters wearing snorkels. You can collect wonderful seashells from the shores of the island. Neil Island was once rich in corals. Due to extensive fishing carried out in this island most of the corals have been destroyed. The island is mostly occupied by Bengalis from India and their main occupation is fishing and agriculture. Neil Island is rich in vegetation and vegetables and supplies other islands of Andaman, which is the reason why it is called vegetable bowl of Andaman. The total population of the island is about 4000 people. 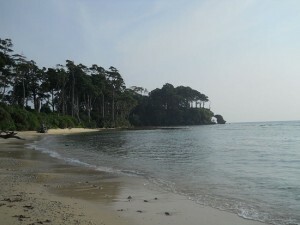 The island’s scenic beaches and tranquility makes it one of the most popular holiday destination in Andaman. You can reach Neil Island through boats from Port Blair. Havelock is the nearest island of Neil. 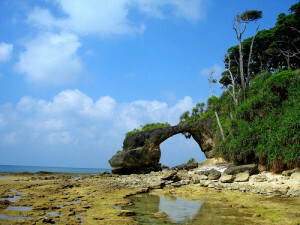 Among the islands of Andaman, Neil Island with its wide beaches is famous for snorkeling, which is an adventure sport. You may see other kind of water activities like fishing and angling commonly carried out in the island. The left out corals attract lots of tourists and marine lovers. The west point of the island is the place where most of the resorts and guesthouses are located. Tourists use hammocks in the shady trees, found along the shores of this part of island to protect themselves from extremely hungry sand flies. Villages like Sitapur, Bharatpur, and Laxmanpur in Neil Island are known for its greenery and serene atmosphere. Sitapur beach is the most famous beach of this island. These places deliver celestial bliss to all the visitors and visitors who really enjoy these things. Bicycles are available for rent here. You can rent a bicycle for a day tour on the island, or take an auto-rickshaw. You can find few eateries in the main bazaar. If you stay in resorts you will have to order for food two hours earlier as the cook needs to order items required for cooking fresh from the market.